Lets decorate for fall,Â or autumn come to that – whatever you want to call to it. Years spent living in the States has meant certain words which I used to say continually are still in my vocab like fall, freeway and cell, plus I have an American assistant so I’m American talking all the time these days. Awesome hey! I’ve spoken recently about cosying up your home for the new season but I want to dig a little deeper into it since it’s not the easiest season to decorate for. Way too early for Christmas decs (thank goodness) and too nippy and windy for tea lights on the terrace. It is however one of the cheapest seasons to decorate for if you go down the nature route. The kitchen (spoken of recently) is such an easy space to decorate for fall. Think heirloom pumpkins on the counterÂ Iâve done this on the counter of my outdoor kitchen and it looks fabulous. Fall veggies such as squash andÂ sweet potatoes look fabulous heaped on a platter or bowl, as do apples and figs plus they last a long time and give kitchens that all important splash of colour. 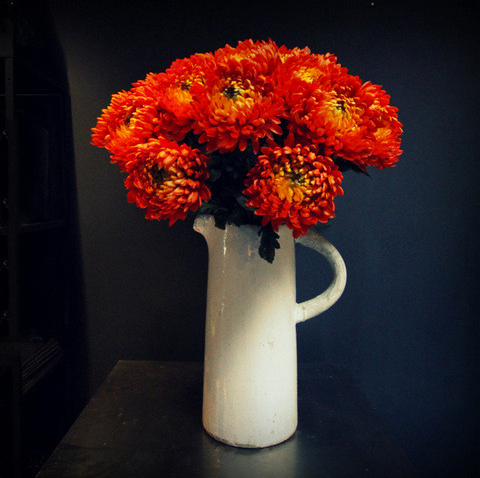 Think flowers beautiful dahlias very much in season right now in bright oranges and redsÂ brighten up any nook. Think candles there are scents out there such as wood smoke that just shout autumn and don’t forget branches.Â Florists and flower markets are full of them and they look fabulous in jugs and large vessels. Not those terrible twiggy things that were all the range years ago and that stand straight up in a vessel and look beyond bad, I’m talking branchesÂ covered in lichen- in wondrous shapes that you can hang t-lights from – super cool! Laden mantles or shelves with succulents, berries, and mini pumpkins – nature inspired stuff! Guess what I’ll be doing this weekend! 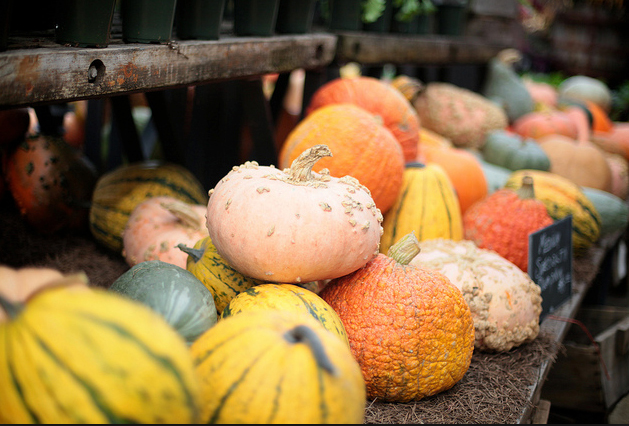 Farmers markets are full to the brim of with pumpkins and squashes – fabulous to eat but also fabulous as an accessory in the kitchen. 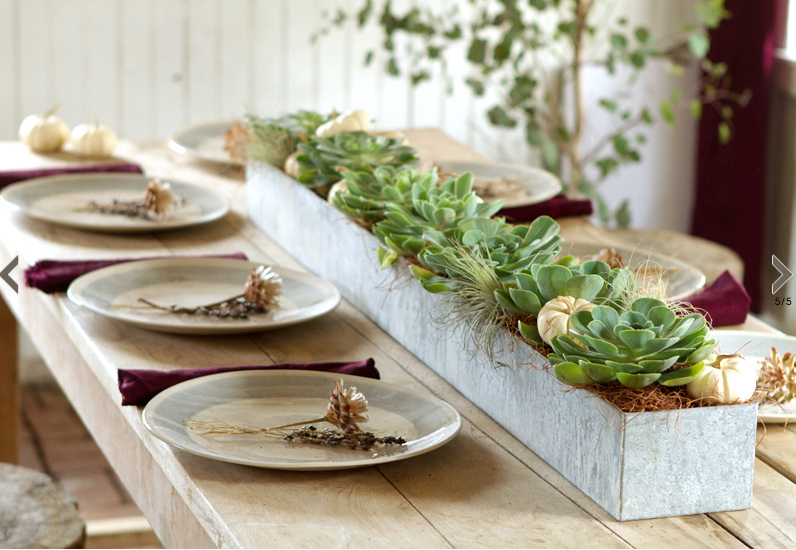 Succulents are great on mantles, shelves as a centre piece on a table, lasting forever and brightening up everything. Dahlias are one of my most favourite flower, next year I want to grow them in the garden. Especially love the intensity of the hot orange – part of our latest collection of faux flowers, not that I’ve managed to grab any for home yet, G is the store all week so its not so easy!